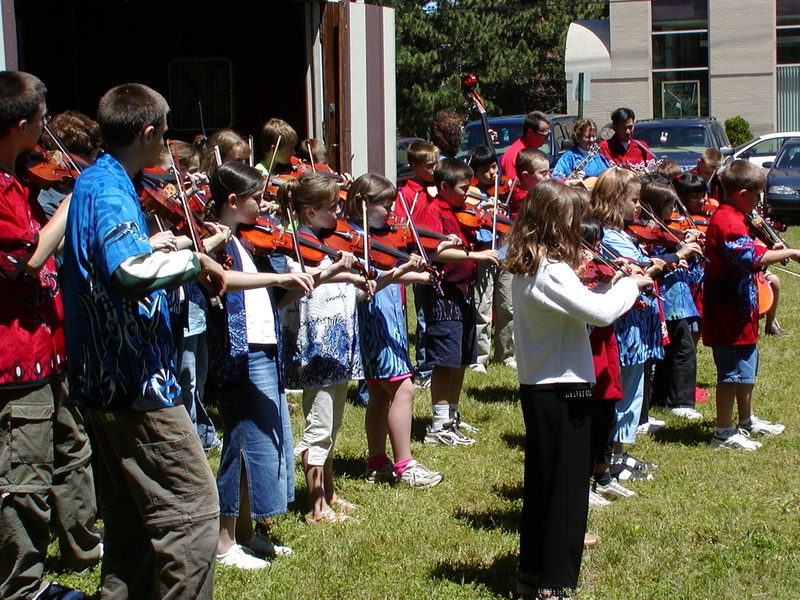 The School for Strings Fiddle Club, sometimes called Stringendo Fiddle Club of Port Huron, has evolved out of our musicianship program into a popular performing group. 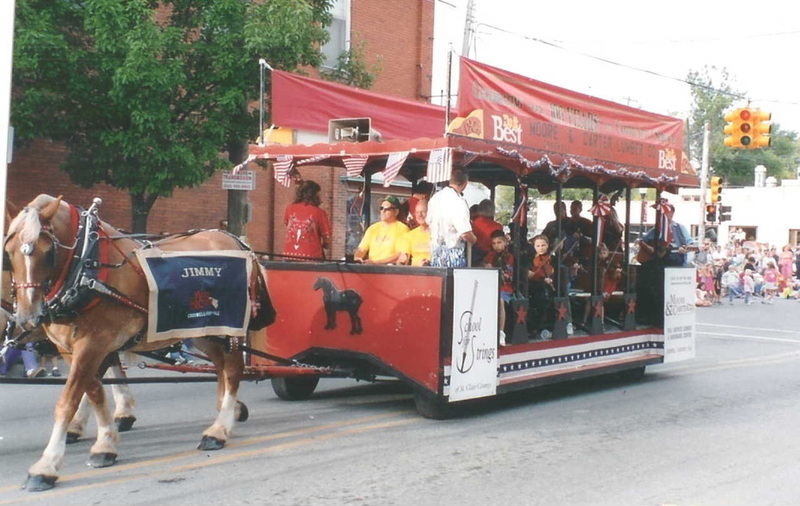 The group have presented more than 250 concerts in and around Port Huron since its founding in 2001. 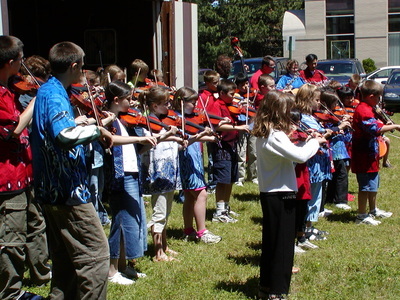 The Fiddle Club may play 20+ events in a year and not all performers manage to make every event. 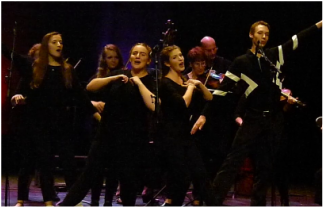 They sing, they dance, they fiddle, the improvise solos. They become multi-talented and audience love them. 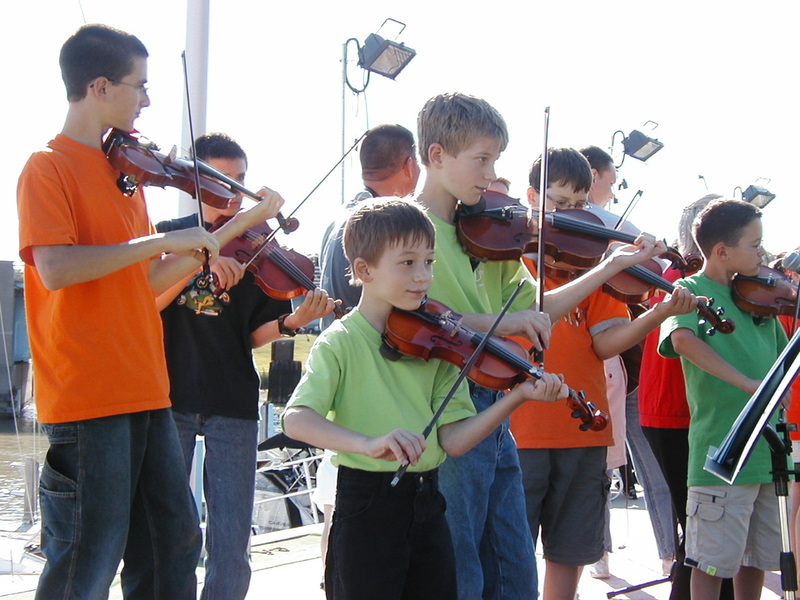 ​Many of the students have developed the ability to harmonize by ear. Sometimes they just groove independently but also learn particular back up patterns and even choreography for some pieces—yes, dance moves. Our advanced students have learned to do a bit of a jig while playing; even our cellists do this! 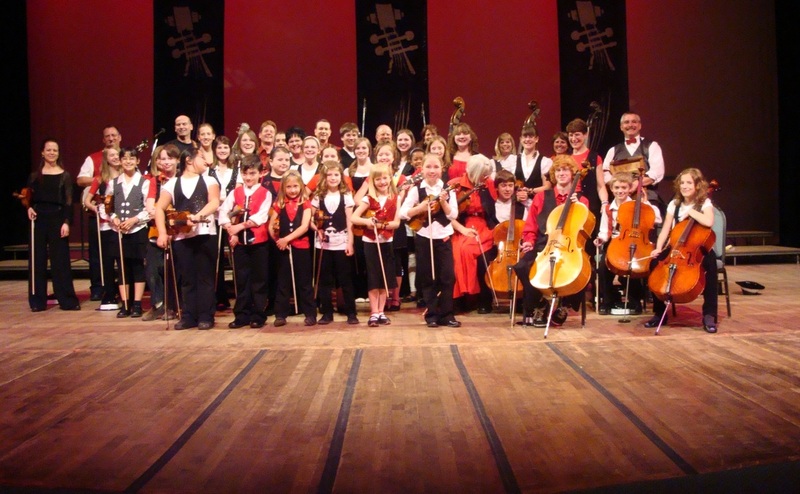 The repertoire for the Fiddle Club comes from the many genres of folk, blues, jazz, bluegrass, Western swing, traditional fiddle, Celtic and more contemporary music. 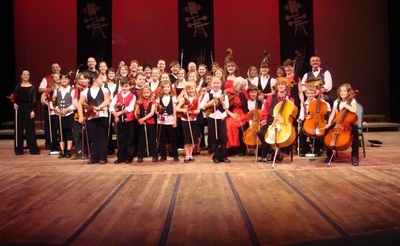 ​Our Fiddle Club performers also sing, often in 3- or 4-part harmony. Due to their extensive ear-training, they are possibly the best youth choir in the Port Huron area. Some of our Fiddle Club's "Papas and Mamas"
Our Fiddle Club performers typically include our school’s violin, viola, cello, double bass students also with guitars plus sometimes percussion and banjo. Traditionally we have many parents wanting to join with their children in this fun activity. Our double bass players have been Moms whom we taught to play and our guitars have often been Dads. 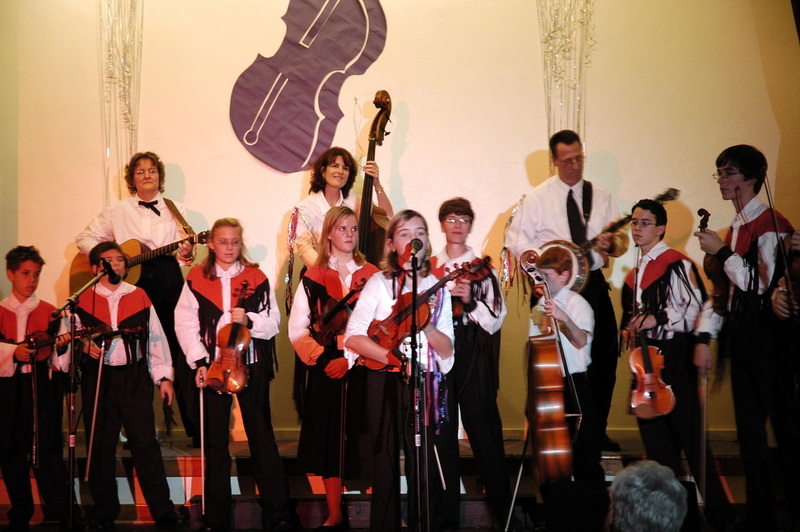 We call them the “Papas and the Mamas.” Our Bass Moms traditionally also play with their students in our orchestras. ​You can see our Fiddle Club at many area festivals, art fairs and community nonprofit fund raising events. They also play for special occasions to private groups for Christmas dinners, annual banquets, weddings and other parties. They annually donate their services to the hospital’s Festival of Trees, March of Dimes Jail and Bail and many retirement homes. You can find a schedule for their upcoming performances on the School for Strings Concert page. Fiddlers in their Concerts, at Jail and Bail, Yale Bologna Fest, Port Huron Museum's PHolk PHest, on stage at McMorran, & Blue Water Fest.